A Filipino single mother of two is banking on the United Arab Emirates’ amnesty program which allows visa violators to rectify their status or return home with no fines. Michelle, 46, has lived in Dubai for 23 years, with poor decisions and misfortune leaving her family trapped as illegal residents in the country, reports Khaleej Times. When she arrived in 1995, she worked at an American fast food company for six years then moved to an advertising firm as a secretary. Organizing visa and travel documents of the firm’s staff led her to form her own agency in 2006. Off to a good start, Michelle’s fortune dried up when clients whose tourist visas she sponsored stayed past the visa expiration and took off. She was left with the fallout in 2008: penalties for the 20 clients cost Dh8,500 (P124,000) each. Her agents took her sales, losing her another Dh200,000 (P2.9 million). By 2009, the business was bankrupt and she was in debt of Dh300,000 (P4.4 million) to multiple banks. Then there was the matter of raising her two children, now 20 and 12, after her husband left her for someone else. Michelle was forced to borrow money from loan sharks. The first, an Indian man, ran away with her passport which she had given as collateral, even if she had settled the loan. This left her with no legal documents or a visa since 2010. The second time she asked for a loan, it was from a Filipino man to whom she gave her daughter’s passport. Sadly, this deal ended with the Filipino taking off with the passport. Without a legal document, her daughter has only been able to finish grade one in a Philippine school. Her son was able to finish high school; he has a passport but no residency visa. When she approached the Philippine Consulate to obtain legal documents, she was advised to file a police report. However, she did not go through the process due to her bank cases. Michelle relies on her sisters and her odd jobs to make ends meet. She hopes the three-month amnesty program, which will begin on Aug. 1, will be a chance to legalize her family’s stay in UAE. “I admit I made poor decisions but there were also circumstances beyond my control. Despite all of these, I still believe everyone deserves a second chance,” she said in the report. The amnesty program caters to people who have overstayed their visa or entered illegally. 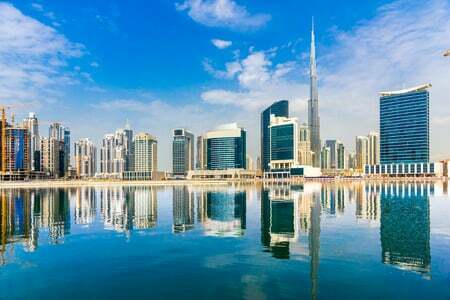 Those who entered UAE illegally are offered the chance to leave voluntarily with a “no entry” passport stamp and a two-year ban if they provide a valid return ticket.